Or view larger version. 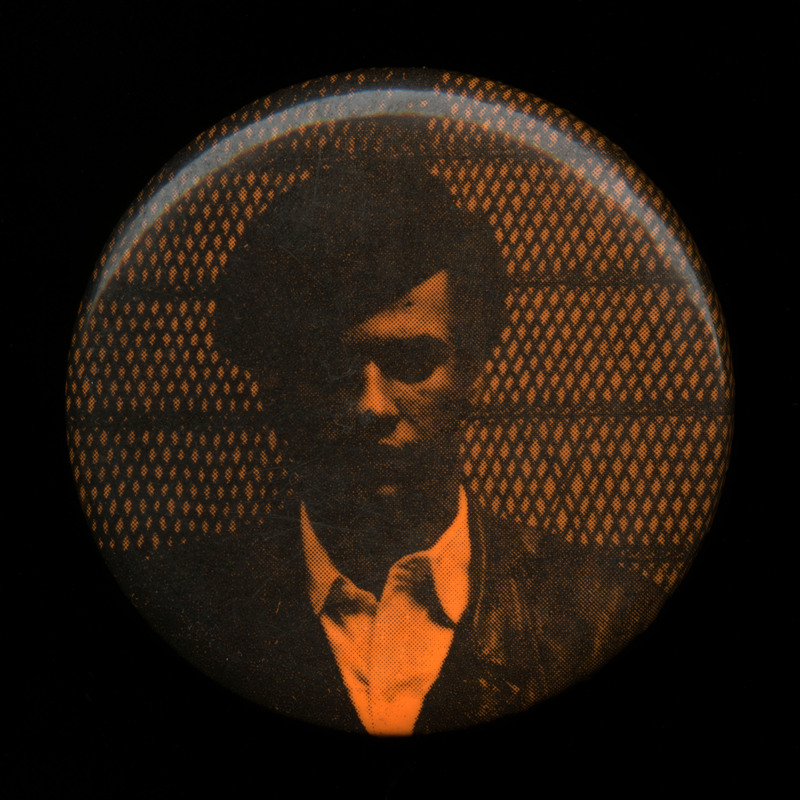 Black and orange photograph on a button, portrait of Huey Newton of the Black Panthers. Date unknown. Unknown photographer. Political button. Collection of Oakland Museum of California.